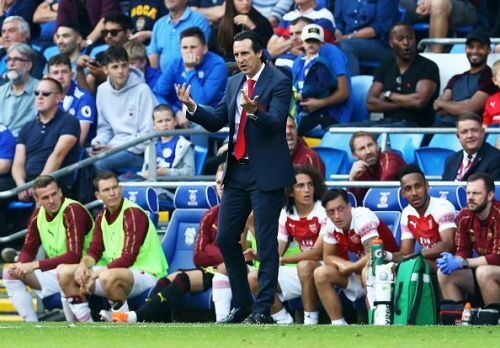 Unai Emery took charge of Arsenal this summer, after Arsene Wenger's long-awaited departure at the end of last season. Pundits and supporters alike had their reservation with his appointment but hoped that he would address the issues which continued to plague Wenger - though he is yet to. Four matches into the season, they have conceded eight goals to date. Given they played against Chelsea and league champions Manchester City, they were also defensively poor against the newly-promoted Cardiff and appeared vulnerable at times against West Ham previously too. In Wenger's final season, Arsenal were the third-highest pressing team in the Premier League. Champions City and local rivals Tottenham were higher, though the Gunners averaged an interception, tackle or foul every 8.5 passes per interaction - which was even higher than Klopp's Liverpool side. Despite this pressing tactic, it did not prevent their opponents from taking plenty of shots on goal. They conceded an average of 11 per game, which was almost double City's 6.2 and interestingly, Wenger set his side out to apply pressure in the opponent's half, rather than their own. 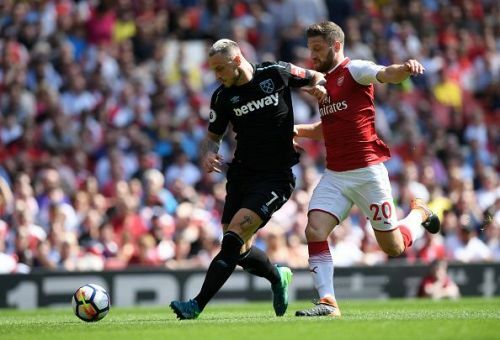 This ultimately backfired, as Arsenal's more defensive-minded players felt more inclined to commit to challenges in dangerous areas of the pitch, where they were more likely to getting countered. To resolve this, Emery should ensure the press begins straight from the front with players such as Pierre-Emerick Aubameyang and Henrikh Mkhitaryan. This would mean less pressure is placed on the midfield and consequently, defence too. How can Arsenal get back to winning ways?